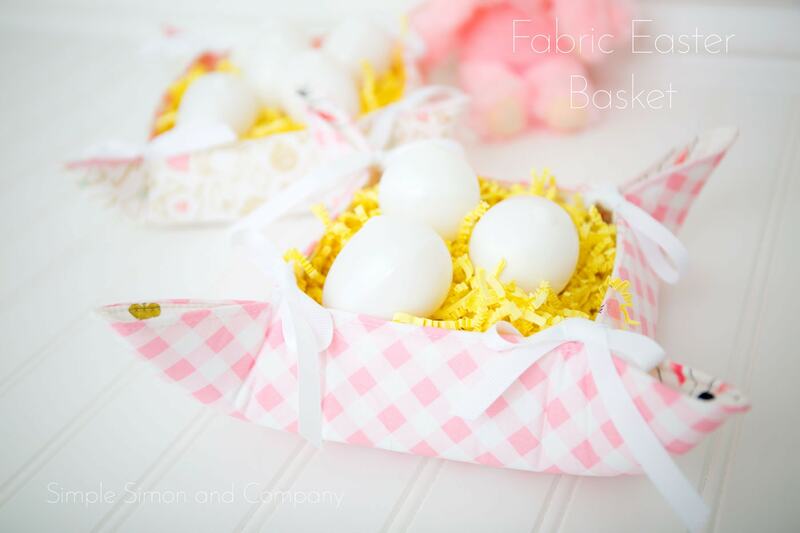 Next up on our Wonderland Two Blog tour we have Elizabeth from Simple Simon & Co. sharing a Fabric Easter Baskets sewing tutorial! 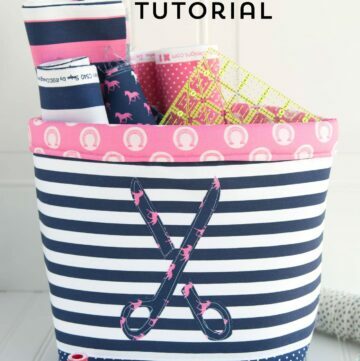 If you like this project then you may like this tutorial showing you how to make a custom Easter basket liner. 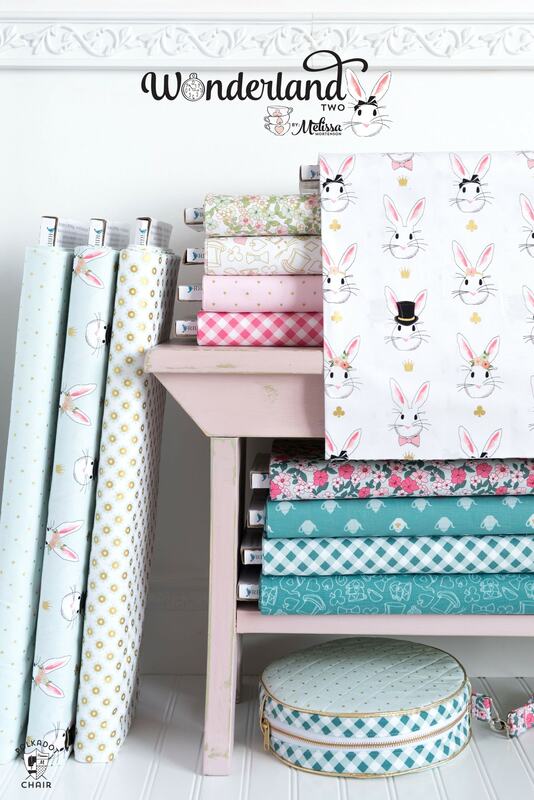 I think it’s kinda funny that when I designed my first Wonderland fabric line over 2 years ago, that I didn’t design it as an “Easter” fabric line. My 5 year old niece wanted bunny fabric and I did my best to make her happy. After I designed the first few prints in the line, I thought the bunny reminded me of the white rabbit from Alice in Wonderland. I then decided to go with that feel for the rest of the line. Easter was not even on my radar (I don’t know why, it seems so obvious now). Then the coolest thing happened…..
Last year after the first Wonderland line was released, I started to get “tagged” on Instagram by people that were sewing with the fabric. The most ADORABLE Easter projects started popping up in my Insta feed. I was on cloud nine Easter morning when I saw all of the adorable Easter outfits that had been made with my fabric. For the second Wonderland line I took more inspiration from Alice. 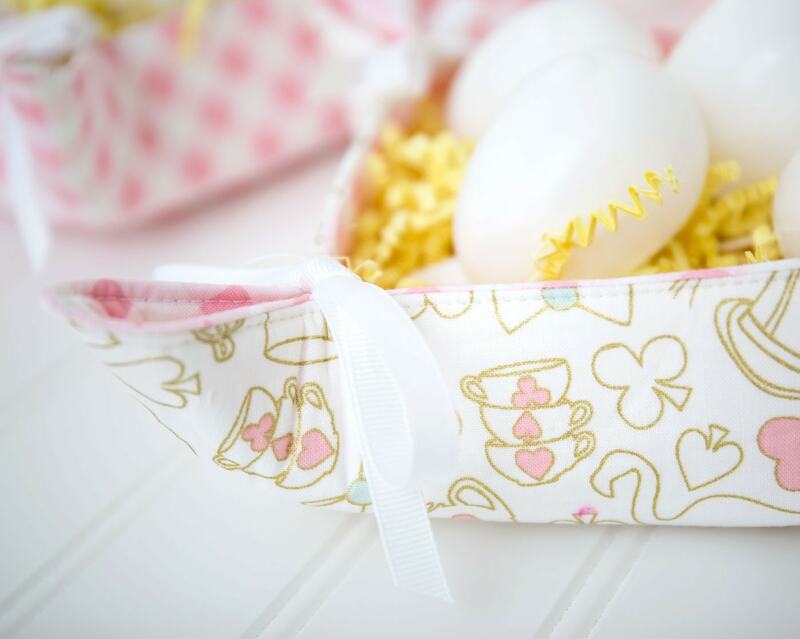 Even though this range is more “Alice” inspired I think it still makes for really cute Easter sewing projects! 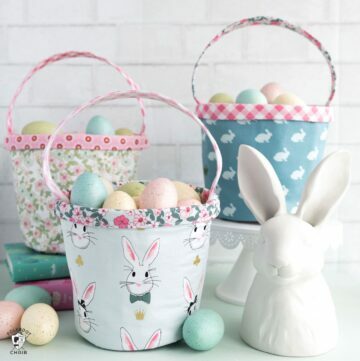 I love how Elizabeth from Simple Simon & Co took the line and made these ADORABLE little Easter baskets! 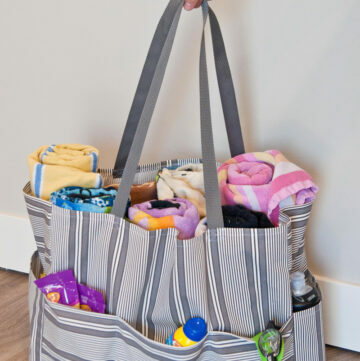 The fabric basket sewing tutorial is so versatile and I think it could be used for so many things besides jut an Easter basket. She used the gingham and bunny print from the line along with the Tea Party print (which is one of my two favorite prints from the line). She is sharing the FREE tutorial with you guys today! CLICK here to hop on over to their site to read all about it!